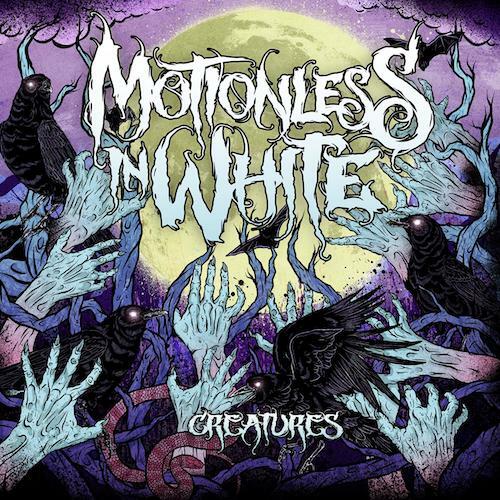 Motionless in White’s long awaited Creatures has finally hit the shelves, the Pennsylvanian sextet’s follow to their second EP When Love Met Destruction. Although not reinventing the wheel and being an easy target, pigeonholed within their genre, Motionless in White have successfully fought back presenting an album displaying originality effectively executing a unique touch to their music. 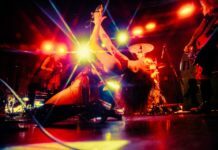 Showcasing an impressive musical development, providing intense riffs, and passion filled screams, they don’t fail on implementing catchy hooks and choruses throughout the album. Genius! 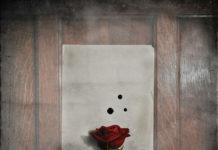 The ability to craft two hit songs into one chorus in a unique way with a modest approach, whilst paying homage to one of the greatest lyricist of all times. Apart from the apparent, instrumental capabilities, this album strongly benefits from being listened to with a lyric sheet as the lyrics are well thought out and capture the bands artistic depth. 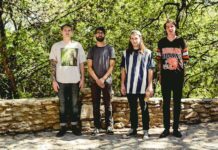 Creatures is packed with unpretentious songs, impressive musical integrity and catchy hooks without the usual predictability that generally comes along with it. Motionless in White’s personal approach to songwriting ultimately makes them stick out. Lyrics like “Two EPs and a full length later and I still I can’t let go of you” or “11 tracks is not enough to tell you how I’ve died inside” underline this element of their music. Despite the whole vampire/horror image-theme not doing much for me personally, the musical capacity speaks for itself. Motionless in White have achieved to find their own place in an extremely competitive genre. Creatures is a quality album, especially in contrast to other current releases that commonly fail to accomplish what Motionless in White has.